Mitee-Bite Products OK-VISE® Clamp – Small in Size, high in clamping force | Mitee-Bite Products LLC. The OK-VISE® clamp is a wedge activated clamp. As the screw is tightened, the clamp expands and pulls the workpiece down at the same time. Small in size and high in clamping force, this low profile clamp is available in many different sizes. The OK-VISE® clamp is precision ground on all moving surfaces to ensure accuracy and ease of adjustment. The heat treated clamping jaws are serrated for better grip. The design of the clamp is excellent for multiple use on pallets and horizontal machines. The heat treated jaws are excellent for clamping rough cut stock and castings. 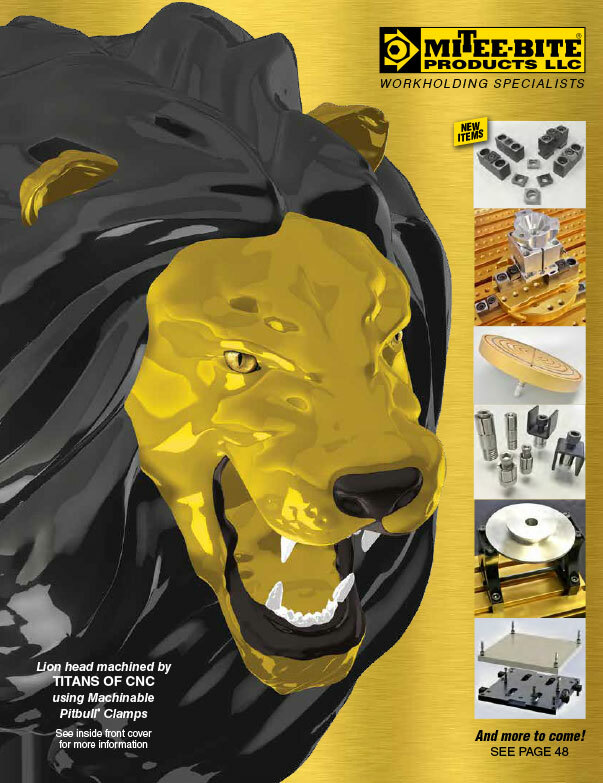 Some clamp models are available with softer jaws for machining to fit special applications such as round pieces or making V jaws. 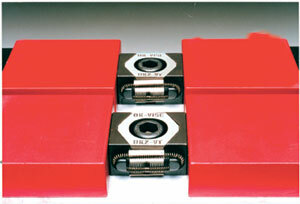 These clamps use mounting screws from 5/16 to 5/8 diameter.